A bright and sunny one bedroom casita in a oasis by the Sea! 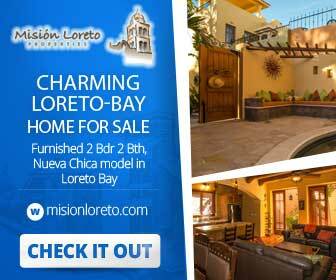 A turn key, furnished casita in a small community of twelve casitas in Loreto, Baja Sur. Villas de Loreto is ideally located on the sea of cortes.. watch the sunrise from the beach with your cup of coffee and launch your kayak or SUP board into the water right from the grassy common area and seaside pool. Secure, peaceful area with friendly neighbors. Lush landscaped grounds with native plants and fruit trees. The Casita is Listed at 140,000.00 USD and there is an Annual land lease fee of 5,000.00 USD. Lock and Leave with peace of mind!